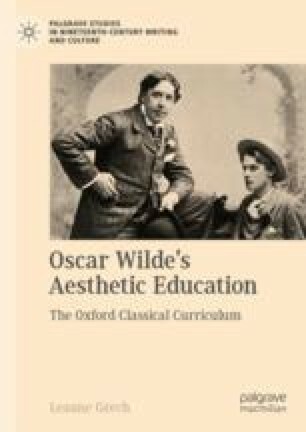 This chapter argues that Wilde problematizes the popular understanding of Platonic love (eros) as an intellectual and spiritual friendship. This idea is raised in Benjamin Jowett’s Introduction to the Symposium and in Walter Pater’s essay on Winckelmann. Pater and Jowett believed it was beneficial to approximate the experience of eros through male friendships, despite the risk of encouraging illicit homosexual attachments. In Wilde’s novel, the potential for failure is portrayed in the dialogues between Basil Hallward and Dorian Gray. Although Basil speaks of his affection for Dorian in Platonic terms, it is based on an artistic partnership that gives him the freedom to gaze at Dorian’s beautiful body and which requires Dorian to remain still and silent.